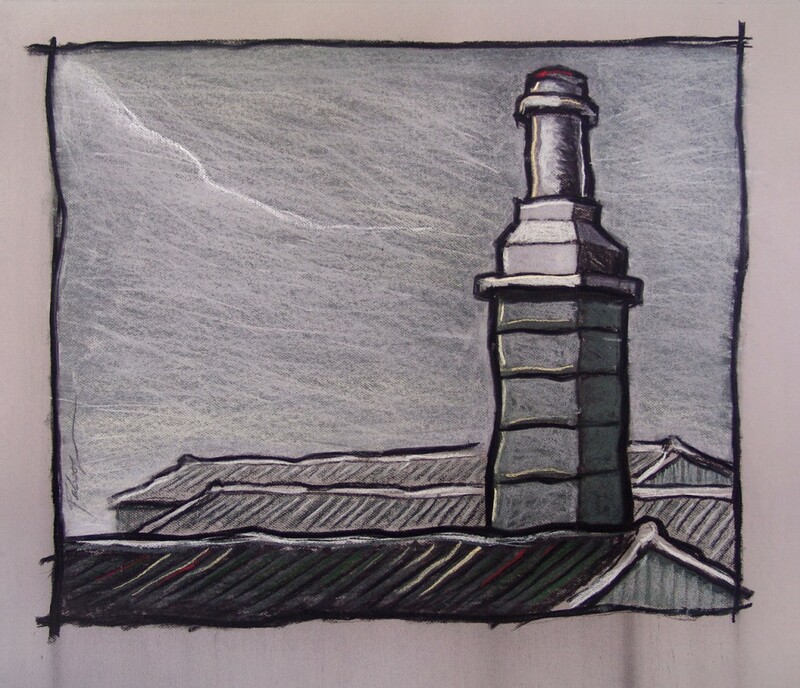 Charcoal painting on paper, view on a factory chimney in London. I cannot remember where exactly. Created from a hasty sketch made on the train when passing by the chimney.